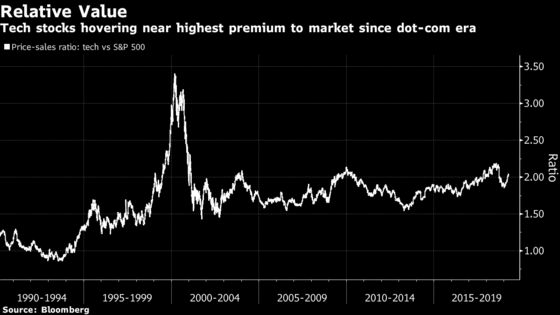 (Bloomberg) -- Technology stocks have reclaimed record highs, making them one of the first groups to put last year’s carnage behind them. But everywhere else you look in the industry, bad news is overwhelming the good. 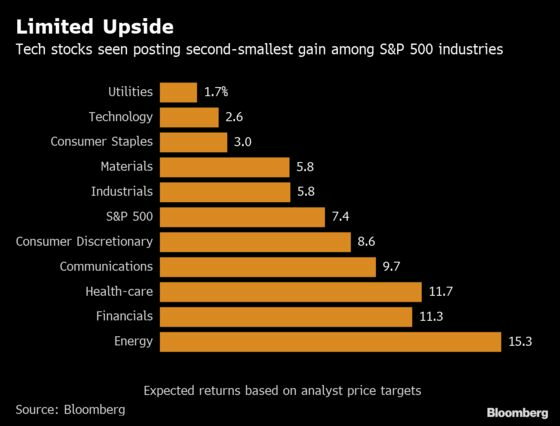 "Everybody is trying to find growth at all costs and there’s not a plethora of options," said Mark Lehmann, president of JMP Securities. "People are willing to pay more." 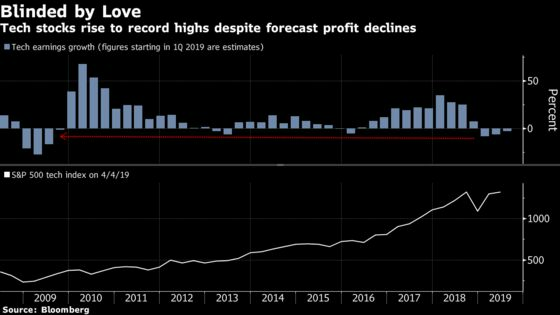 To Edwin Davison, a senior equity analyst with DuPont Capital, the resurgence in tech shares, particularly those sensitive to economic swings like chipmakers, reflects an improved macro backdrop -- the Federal Reserve has turned more dovish, the Sino-U.S. trade talks are progressing and China has introduced another round of economic stimulus.